The Wedding Diary 2**a SIN production. 2 years after the marriage of Wei Jie and Zhixin when they welcome an unexpected addition to their family. Zhixin’s father suffers a stroke which puts a strain on the couple’s relationship. Zhixin has to handle the business and at the same time to see that her mother does not fall into depression and anxiety due to the situation. Movie 43: could not give any ratings, did not even sit thru’ it. A series of interconnected short films follows a washed-up producer as he pitches insane story lines. 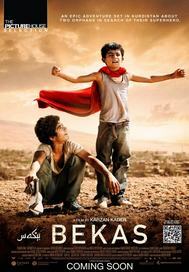 Not my kind of movie! 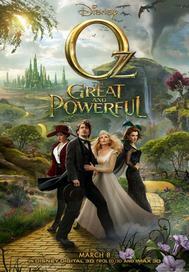 Ox the Great & Powerful***Disney’s fantastical adventure, origins of L. Frank Baum’s character, the Wizard of Oz. When Oscar, a small-time circus magician is hurled away from dusty Kansas to the vibrant land of Oz. There he meets three witches, Theodora, Evanora and Glinda, who are not convinced that he is the great wizard everyone’s been expecting. Oscar must find out who is good and who is evil before it’s too late. Putting his magical arts to use through illusion and ingenuity, Oscar transforms himself not only into the great and powerful Wizard of Oz but into a better man. 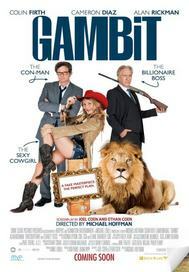 Gambit****art curator Harry’s (Colin Firth) plan is to steal a painting from one of the world’s richest men, who is also his boss! In Nicole, he meets someone who appears to be the perfect candidate, the participation of a beautiful woman to act as his gambit. But Harry becomes enraptured with her, causing his plan to take a series of wrong turns.